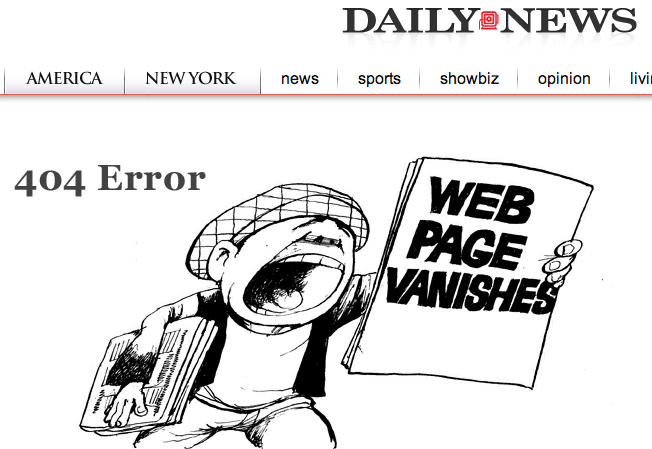 Why did no one tell me the Daily News had such a cool 404 error page? More importantly, why am I getting this 404 error page on a link that you JUST TWEETED 20 SECONDS AGO? This entry was posted in newspapers. Bookmark the permalink.